Prime Minister Imran Khan says Pakistan would retaliate if India were to attack in response to a bombing in the disputed Kashmir region, which India blamed on Pakistan, while adding he wants to co-operate in investigating the blast. Prime Minister Imran Khan said on Tuesday Pakistan would retaliate if India were to attack in response to a bombing in the disputed Kashmir region, which India blamed on Pakistan, while adding he wanted to co-operate in investigating the blast. 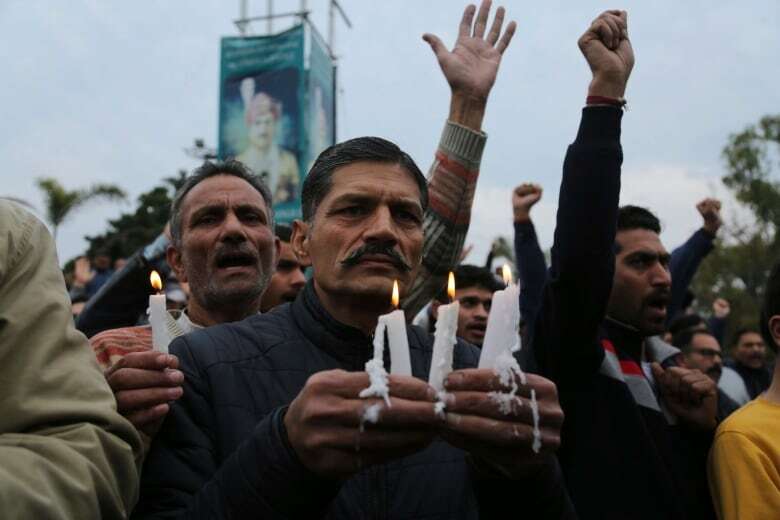 Tension between the nuclear-armed neighbours has risen sharply over the killing in the Indian-controlled part of Kashmir on Thursday of 40 Indian paramilitary police in a suicide bomb attack claimed by the Pakistan-based Jaish-e-Mohammad militant group. Pakistan has denied any involvement and on Tuesday called for UN intervention. 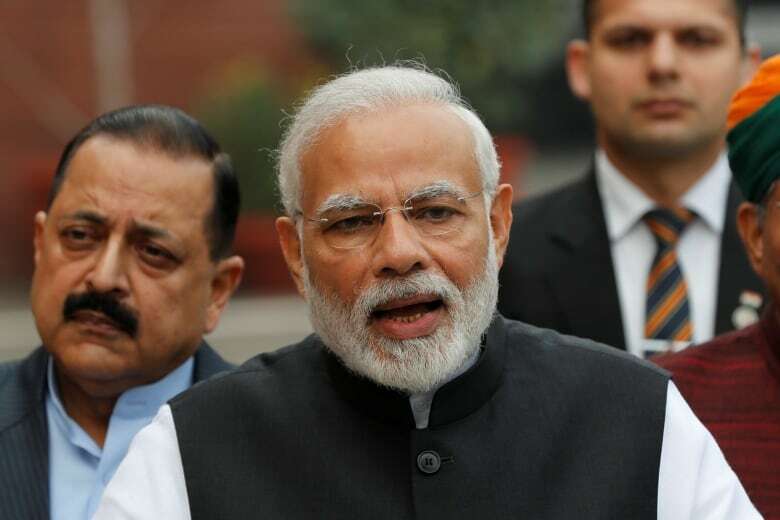 But Indian Prime Minister Narendra Modi, facing a general election by May, has come under pressure to exact revenge, and has said he's given his security forces a free hand to administer a "crushing response." In a televised address to the nation, Khan noted the calls in India for revenge and said he hoped "better sense will prevail. 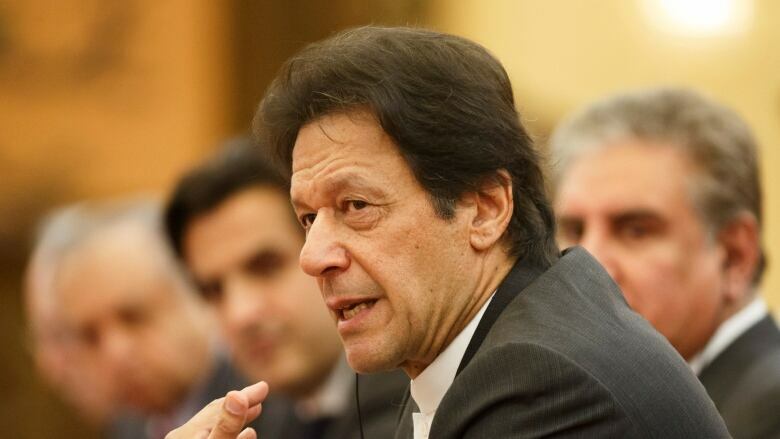 "If you think that you will launch any kind of attack on Pakistan, Pakistan will not just think about retaliation, Pakistan will retaliate," Khan said. "And after that where will it head?" The South Asian neighbours have fought three wars since 1947, two of them over Kashmir, a territory both countries claim in full but rule in part. While they have not fought a full-scale war since they both tested nuclear weapons in 1998, they have fought countless skirmishes along their de facto border in the mountains of Kashmir. "If you have any actionable intelligence that Pakistanis are involved, give that to us, I guarantee you that we will take action," Khan said. Pakistan's military has a long record of nurturing militants as proxies in pursuit of foreign-policy objectives. India has for years accused it of supporting separatist militants fighting a nearly 30-year revolt in its only Muslim-majority state. Muslim Pakistan has long said it only provides moral and diplomatic support to the Kashmiri people in their struggle for self-determination, though that has never dispelled India's conviction of Pakistani support for militants. India's top military commander in Kashmir told mothers to get their militant sons to surrender or see them dead, as security forces intensified a crackdown in response to the deadliest attack on security forces in three decades of insurgency in the Muslim-majority region. Lt.-Gen. K.J.S. Dhillon accused Pakistan's main Inter-Services Intelligence (ISI) spy agency of "controlling" those behind the Thursday bombing and warned of retribution. "I would request all the mothers in Kashmir to please request their sons who have joined terrorism to surrender and get back to the mainstream," Dhillon told reporters in Srinagar, the summer capital of Jammu and Kashmir state. "Otherwise anyone who has picked up the gun will be killed." The bomb attack was carried out by a 20-year-old man from a village in Indian Kashmir. His parents said he had joined a militant group after being beaten by Indian troops three years ago. Dhillon did not provide any proof for his accusation that Pakistan's military intelligence agency was behind the blast, only pointing to what he said were its close links with the Jaish. The bomb attack has sparked outrage in India with calls for revenge circulating on social media, and rising animosity towards Kashmiri Muslims in other parts of the Hindu-majority country, to the alarm of rights groups. Earlier on Tuesday, Pakistan appealed to the United Nations to intervene, in light of deteriorating security. "It is with a sense of urgency that I draw your attention to the deteriorating security situation in our region resulting from the threat of use of force against Pakistan by India," Pakistani Foreign Minister Shah Mahmood Qureshi wrote to UN Secretary General Antonio Guterres. "It is imperative to take steps for de-escalation. The United Nations must step in to defuse tensions," he wrote, blaming India for deliberately ratcheting up its hostile rhetoric for domestic political reasons. At the same time, Pakistan has a vital role to play in nudging the Afghan Taliban towards peace in Afghanistan in talks with U.S. officials that have raised significant hopes for an end to America's longest war. Pakistan's ambassador to Afghanistan said an Indian attack on his country would undermine the Afghan peace effort. "Any attack by India will be affect the stability of the entire region and impact the momentum," the ambassador, Zahid Nasrullah, told reporters in the Afghan capital. Pakistan's close ally China urged it and India to ease tension through talks. "China hopes that Pakistan and India can exercise restraint and hold dialog, to achieve a ΓÇÿsoft landingΓÇÖ as soon as possible," said China's foreign ministry spokesperson. Jammu and Kashmir, a former princely state on the border between India and Pakistan, has been in dispute since the partition of India in 1947. Control is split between the two countries but each claims the region in full.